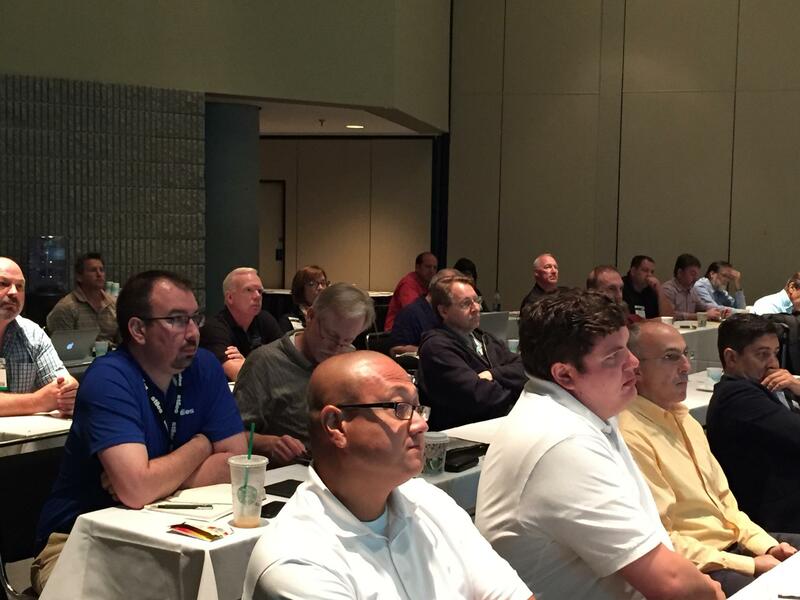 With only a short time left to register, now is the time to sign up for the Veneer Symposium at IWF. Top experts will be on hand to present information and answer your questions about everything to do with modern veneering. That includes details about manufacturing, processing, and equipping your shop to efficiently do expert veneer work. It also includes information on exciting new ways veneer is being used and expert advice on how to market veneer work to top-dollar clientele. 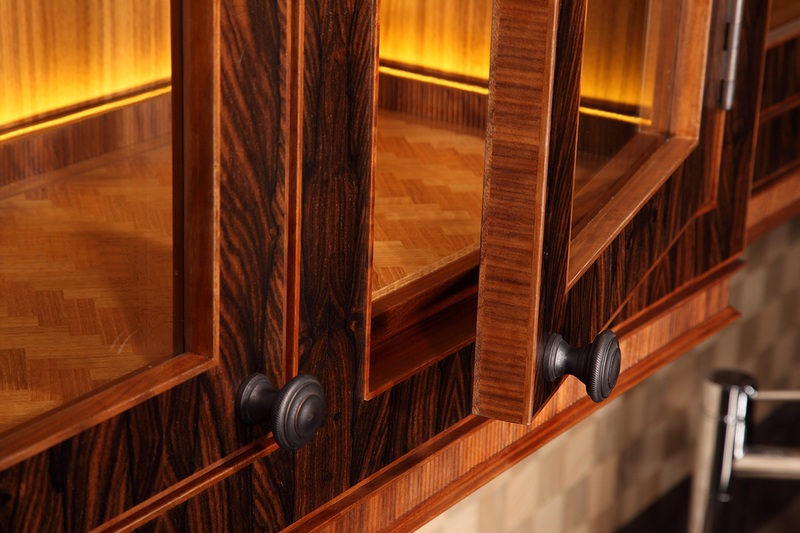 This award-winning cabinetry is an example of the spectacular veneer work done by Keith Morgan’s company Bespoke. Morgan will be a speaker at the Veneer Symposium. The event is sponsored by Veneer Technologies and Veneer Services. Paul Schurch, owner of Paul Schurch Woodwork in Santa Barbara, California, will talk about how shops can take veneer work to new areas as well as answer your questions about traditional and modern veneering techniques. 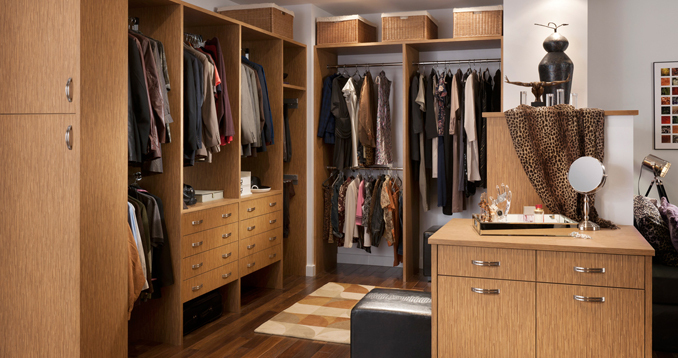 He is well known for his breakthrough designs and finely crafted furniture creations. He is also recognized as one of the top educators in the field of veneer woodworking. He’s won many awards, including from the prestigious Veneer Tech Craftsman’s Challenge. 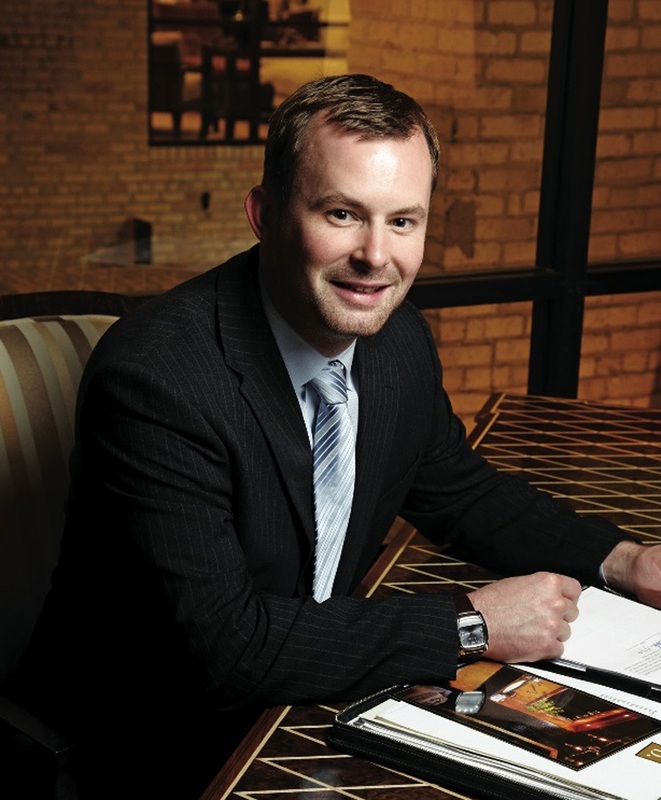 Keith Morgan, owner of Bespoke in Larchwood, Iowa, has created an award winning company catering to an elite international clientele, emphasizing elegant custom design and spectacular craftsmanship. Not only has Bespoke won multiple Craftsman’s Challenge awards, but also Morgan has earned a reputation for his marketing prowess in the highly competitive world of luxury consumers. He’ll share advice on design, manufacturing, and marketing. Dane Floyd, CEO of Veneer Services will talk about how shops can tool up to efficiently process veneer products. He’ll share tips about machinery and shop setups, answering your questions with real world experiences from successful shops. He will discuss proper machinery choices and production layouts to ensure success. Dave Ortmayer brings his extensive industry experience from Italpresse USA to help share advice on modern veneer processing equipment and techniques. 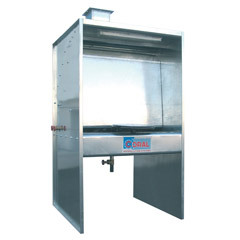 His special expertise is in the crucial laminating process, which is essential to veneering success. Alan Hubbard’s years at Veneer Technologies have given him a unique perspective on how veneer is manufactured and processed from raw logs to flitches to panels. His presentation will include a virtual trip inside the veneer plant to see how veneer is processed and graded in a modern industrial setting. The program will emphasize lots of give and take between the audience and experts, so there will be plenty of opportunities to have all of your questions answered. Be prepared to be stunned by photos of some of the most spectacular veneer work you’ve ever seen. There will also be a special veneered surfboard giveaway for participants. The event is presented by FDMC magazine and Woodworking Network and moderated by Will Sampson, editor of FDMC magazine, this veneer project goes way beyond just the surface. 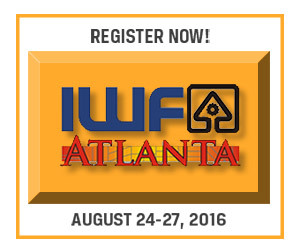 To register, go to http://www.iwfatlanta.com/Education/VEN. Keith Morgan of Bespoke will talk about the fine art of marketing high-end veneer products to affluent clientele.